Towing a caravan- as fun as it is- cannot be done Scot-free, you will need a licence for towing a caravan, and there are a few guidelines you must follow to finally make use of your caravan and take a nice trip to Oxford or Watford. Well without a licence, then, unfortunately, you cannot tow your caravan, meaning you cannot travel the world literally in the comfort of your own ‘home’. This is sad. 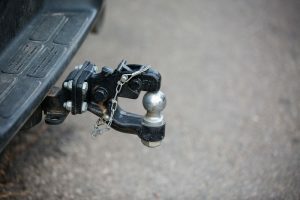 That’s why we’re here, so here in this article is a guide to knowing if you have the suitable licence for towing a caravan as well as other factors. Have you got the right licence? If you passed your driving test after the 1st of January in 1997, Firstly, well done, but when it comes to driving a caravan you need more. You need to have passed a further test known as the B+E test. 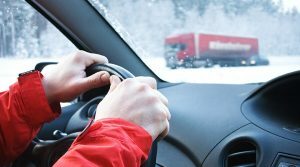 To do this you book the test as you would a normal driving test, but take it to the LGV centre, rather than a normal driving test centre. You take the test in an unladen category B vehicle, which tows a trailer with suitable brakes and weights at least 1-tonne MAM. The vehicle must have external mirrors on both sides of the vehicle so the examiner or anyone supervising the test can make use of them. A device either visual or audible that detects whether or not the indicators on the trailers are functioning properly. The Laden weight of a caravan must be less than its maximum technically permitted laden mass (MTPLM) and the caravan’s MTPLM cannot be higher than the towing car’s maximum permissible towing mass (MPTM). If your caravan weighs nothing more than 3.5 tonnes and does not contain more than 8 passenger seats then we are pleased to tell you. You are good to go! Having a caravan heavier than the towing car will make it inconvenient when it comes to manoeuvring it, and a caravan is meant to be fun! So the more your caravan fits within the rules and regulations of the licence. The better your experience.